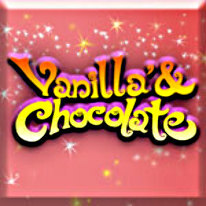 In Vanilla & Chocolate, you set out to grow your small ice cream shop into the country's most popular ice cream brand. The game breaks new ground by combining simulation and time-management gameplay into a single cohesive experience. You will face the challenges of managing your ice cream shops, serving the customers and researching new ice cream recipes, and upgrading the equipment and decor, to build the ultimate ice cream empire! You will be amazed what you can build with a foundation of Vanilla & Chocolate.